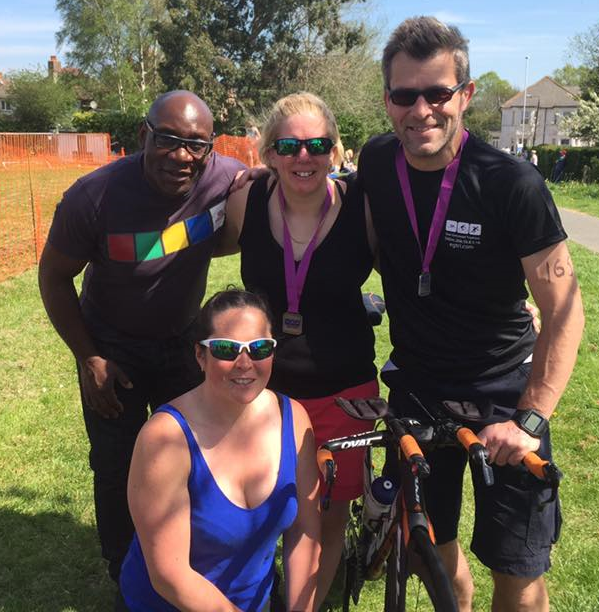 Ten members competed in the East Grinstead Sprint Triathlon on Sunday 8th May. Anthony Vince came 15th overall on 1:16:48 whilst Rob Hoodless was 2nd in the M50 category on 1:19:24 and Rachael Baker was 2nd in the W40 category on 1:22:24. Ed Cockill had a good performance on 1:23:21 with Callum Murray 1:28:56 and Matthew Critchley 1:32:24 not far behind. Julienne Stuart-Colwill 1:33:26, Sarah Hinon 1:43:29, Angela Murray 1:45:10 and Clair Hunt 1:56:25 completed the club's entry.